Callaway Women’s Big Bertha Epic driver is a great option if you’re looking for higher tee shots with more control. It’s designed with technology that makes it launch the ball higher and straighter while still producing longer distances with reduced spin. It’s also a more affordable driver option as compared to the new 2018 Women’s Rogue Driver. You save nearly $150 by going with this older model but it’s still a premium golf driver made by the premium golf brand Callaway. Below we will review the Women’s Big Bertha Epic Driver and discuss the technology that makes it more forgiving, deliver faster ball speeds, and increase your overall performance on the tee box. Before jailbreak technology was introduced into the Callaway Women’s Drivers, the face would get stretched vertically at impact and lose energy. To solve this problem, Callaway inserted two titanium bars into the driver body that sit behind the face. Their role is to connect the crown (top) and sole (bottom) of the driver to prevent the face stretch. It also stiffens the structure of the clubhead so that the face has to flex more, which is what generates the faster ball speed Callaway claims their drivers produces through this jailbreak technology. The Women’s Big Bertha Epic driver features an Epic Triaxial Carbon Crown that is 30% thinner than previous driver versions. It’s also 64% lighter than the titanium crown featured on the Callaway XR 16 Women’s Driver. What this thinner, lighter design does is allows the engineers to take the weight savings and test them out in other areas of the club face to increase MOI, produce faster club speeds, and convert energy into the golf ball more efficiently. If you test the Women’s Big Bertha Epic driver on a Trackman like device, you’ll notice it has lower spin as compared to previous models which helps add some distance to your total driving yardages due to increased roll out. The crown also features a Speed Step which makes the club more aerodynamic by smoothing the air flow over the head to reduce friction. The Big Bertha Epic driver is more forgiving thanks to Callaway’s innovative combination of Titanium exo-cage and triaxle carbon crown and sole. Combined these create higher launch for your golf ball with reduced spin and with exceptional forgiveness. You’ll really appreciate the control you have with this driver as you see more golf balls flying down the middle of the fairway. The standard shaft this driver comes with is the MRC Dianana 40g. You also have a choice of 3 other shafts; hazards, Fuji, and rogue in four weights. Each of these premium golf shafts are engineered to promote more speed, power, stability, feel and control. With loft options, you have your choice between a 10.5 or 13.5 degree loft for the driver. It’s recommended that you purchase a higher lofted driver if you struggle to get distance off the tee. The added loft can help you hit the ball higher, thus getting more carry. And since the Bertha Epic has reduced spin rates, you’ll still pick up the added roll. How Much Does the Big Bertha Epic Driver Cost? 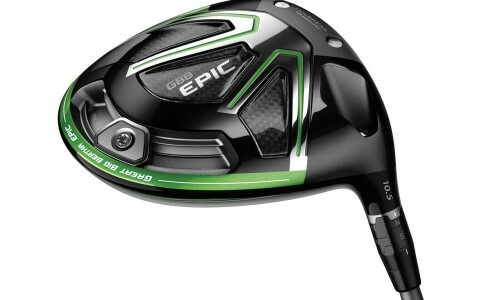 Right now the Bertha Epic Women’s Driver is listed for sale on Amazon at $269. You can check here to see if pricing has changed since writing this review article. Compared to new Callaway Drivers coming for sale at $400 and $500, you are getting a very high quality driver for almost half the price. Should You Buy the Women’s Big Bertha Epic Driver? 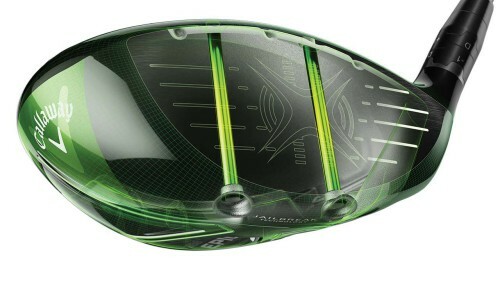 Overall, this driver delivers fast ball speeds thanks to the jailbreak technology inserted behind the face. The usual variable face technology also has help increase the sweet spot of the face to make it more forgiving on mishits by widening the hitting zone. You’ll find this driver easier to get launch and carry the ball further down the fairway. Spin is also more muted to help your ball roll out more and increase your overall distance. If you struggle to get distance on drives this is definitely a driver built for distance and worth checking out. Thanks for reading our review of the Callaway Women’s Big Bertha Driver. Make sure to check out our resources below that golfer’s love following to improve their scores quicker. We’ve helped thousands of golfers and look forward to helping you too!